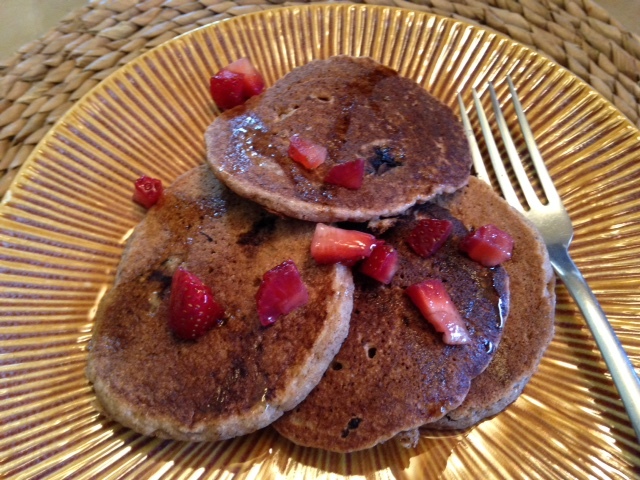 I made these pancakes for the first time today – YUMMY! 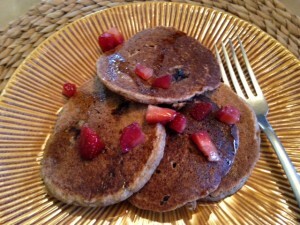 Probably some of the best pancakes we’ve ever made from scratch, and very easy to prepare. The cinnamon and maple syrup give it just the right flavor, and they really did turn out ‘fluffy’. I added some blueberries and chopped pecans. Mix dry ingredients, then add wet ingredients and stir until just mixed. Cook over medium heat. Once a few bubbles appear in the middle, flip and finish cooking. Serves 3-4. A GREAT way to start your day! This recipe can be adapted to use steel cut oats as well…..use the amount of water specified for steel cut oats – typically one cup oats to 3-4 cups water – and simmer for a little extra time. Increase cinnamon and fruit accordingly, or to taste. Well worth it! Optional: Stir in fresh strawberries before serving. Combine water, vanilla and cinnamon in small saucepan. Bring to boil over high heat. 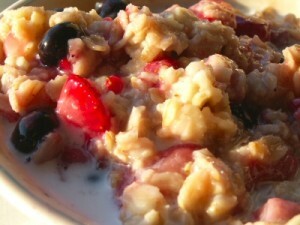 Reduce to simmer and stir in the oats. When mixture simmers, add blueberries. Remove from heat when blueberries are heated. Cover and let stand 15 minutes. Mix in apples, nuts, flax seed and raisins.